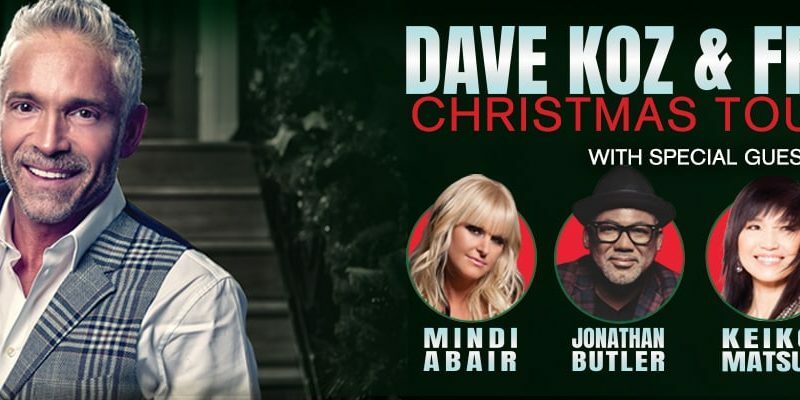 CERRITOS, CA – The Dave Koz and Friends Christmas Tour 2018 returns to Cerritos with a festive, high-energy show filled with seasonal tunes and cheer. Renowned saxophonist Koz is joined by special guests Mindi Abair, Jonathan Butler, and Keiko Matsui on Saturday, December 22, 8:00 PM and Sunday, December 23, 7:00 PM. Purchase tickets, which start from $52.50, at the CCPA Ticket Office, cerritoscenter.com, or by calling (562) 916-8500. A cherished holiday tradition, DAVE KOZ AND FRIENDS CHRISTMAS TOUR 2018 brings together a magical combination of musicians performing their hits and lively arrangements of seasonal favorites in an uplifting, high-energy show the whole family will enjoy. 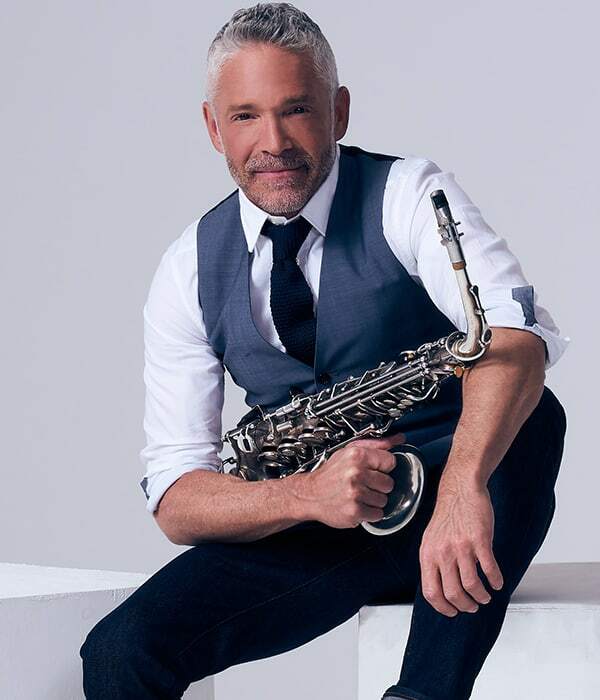 Platinum-selling saxophonist-composer DAVE KOZ has sold millions of albums worldwide, including Lucky Man, and the holiday CDs Ultimate Christmas, December Makes Me Feel This Way, and A Smooth Jazz Christmas. The Seattle Times praised the six-time Grammy nominee, citing in particular Koz’s “clean, fluid sax lines, which have been heard on a variety of recordings, from U2’s R&B remix of When Love Comes to Town … to albums by Ray Charles, Natalie Cole, Richard Marx, Gladys Knight, and Donny Osmond.” Koz’s Saxophonic album was nominated for a Grammy and an “Image Award” from the National Association for the Advancement of Colored People (NAACP). Since 1994, Koz has hosted the popular syndicated radio program The Dave Koz Radio Show, which spotlights who’s who and the latest sounds in the Smooth Jazz genre. Two-time Grammy nominee MINDI ABAIR has been electrifying audiences with her dynamic live performances and command of the saxophone since her debut album in 2000. She boasts 10 No. One hits and six Top 5 solos. Abair has two Grammy nods under her belt: a “Best Contemporary Instrumental Album” for Wild Heart and “Best Pop Instrumental Album” for Summer Horns. The saxophonist-vocalist’s recent bluesy The EastWest Sessions debuted No. Three on the Billboard Blues Album Chart and No. One on the RMR Blues Rock Album chart. James Brown, ripping off guitar licks with the creative ingenuity of a George Benson, singing with the style and communication of an Al Jarreau,” lauded the Los Angeles Times. The singer-guitarist busted racial barriers and stereotypes with his debut single, Lies, which was the first song by a black musician to be played on white radio stations in South Africa. The hit catapulted Butler into the international limelight, and he followed with the Grammy-nominated instrumental Going Home and the ballad Sarah, Sarah, which confirmed his position in popular music. Butler’s collection of diverse albums includes Surrender, The Worship Project, Jonathan, Brand New Day, and So Strong. Keyboardist KEIKO MATSUI has dazzled legions of fans and critics with her Jazz-charting albums Sapphire, Dream Walk, Whispers From the Mirror, and Deep Blue. Much of her music and compositions revolve around nature, including A Drop of Water, Night Waltz, Cherry Blossom, Full Moon, the Shrine, Moyo (Heart & Soul in Swahili), and Journey to the Heart. Aside from Matsui’s Smooth Jazz Awards, she garnered the 1997 Essence Award from the American Society of Young Musicians. She was also nominated for “Best Jazz Album of 1995” at the prestigious Soul Train Music Awards. www.cerritoscenter.com , or by calling (562) 916-8500.